Our unique method of combining Record Keeping+Account Management+Payroll, allow us to significantly reduce fraud and mishandling of your precious assets. Lida Paukert has over 30 years of experience in Bookkeeping and Business Management. 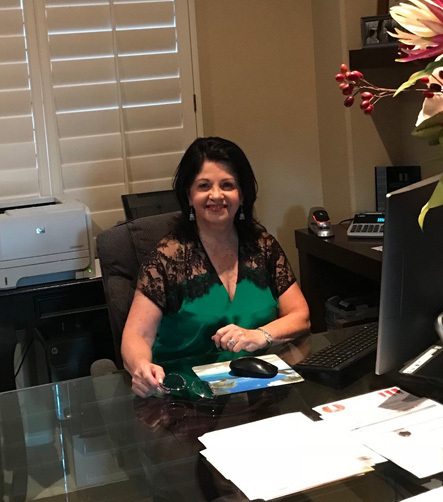 She Provides independent, reliable, affordable and accurate Bookkeeping Services for all her clients throughout Southern California, mainly in Los Angeles, Palm Desert and other Desert Cities, Riverside and Orange Counties. Her services accommodate her clients remotely or in person. Lida is a QBOOKS Accounting Program’s Pro Advisor and Consultant. In addition to Full Charge Bookkeeping, Payroll including Direct Deposit capability, Audit, Budgeting, Consultation on Business Entity Start Ups and Bankruptcy/Trustee Accounting Reports Formats are among services offered. Lida’s comprehensive and Stress-Free services with special care to her client are her signature feature. She can be contacted at 310-995-2580 or via email at info@lidapaukert.com. Call her today for a free consultation and evaluation of your Bookkeeping and Account Management needs. Aimee ShackelfordAS Media Enterprises Inc.
Want to see more reviews ? Serving Greater Los Angeles, Orange County, Riverside and Desert Cities, California.